An easy selection for the Easter basket. Eventually it will be nice to forget about the fiat price of silver. After the upcoming year, will the Federal Reserve casket ever be seen as secure again? What in the hell is with this federal Reserve and it's apparent demise have to do with this simple video? 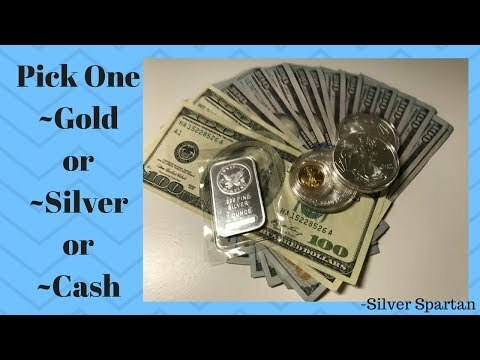 This video is only asking which would you rather have if someone was offering you the option of getting either $1,300 in cash, one ounce of Gold or 80 ounces of Silver one year from now and that was assuming the values of both the Gold and Silver today would be worth $1,300. So if the metals were down, obviously cash would be the best choice. If gold was up and at an even higher gold to Silver ratio, Gold would be the best choice. If Silver was up next year and the gold to Silver ratio was down below 80 to 1, then Silver would be the best choice. Making the assumption that cash would automatically be worth 2% less in value would depend on inflation and what you wanted to spend that cash on. If you wanted to spend it on new electronic gear, chances are your favorite dollars would have appreciated over the past year. So forgetting about all the hype from Silver analyst about how high Silver will be in the coming months or year, just like they have been telling us the same things year after year. You only have to decide if the spot prices are going to be higher or lower one year from now based on the history charts for the past several years and pick one. I think I would pick the ounce of Gold even though I only stack Silver, if anything radical in the fiat system is ever going to take place where Gold will come into play, it could be appreciated to extremes trying to make it work. Silver will never be used for that purpose on a global basis and probably not even locally for a country regardless of all the hype. Use Silver as a currency and watch it vanish from the market place. Same thing with your Gold if it's backing your currency. I was waiting for you to realize that one of the three options presented are FEDERAL RESERVE notes. Might not be a good idea to hold them for a year when compared to PMs. Silver Has Only Been This Cheap To GOLD TWICE In 20 Years! And here's a very long cartoon for your attention Vale. Enjoy. I don't know what you were waiting for, that was plainly put forth on April 1st, unless you and your screwed up mind can't wrap your head around the fact cash and the Federal reserve note are one in the same. As far as waiting a year to compare PM's to fiat, ask everyone that jumped into the Silver market in late 2010 and 2011 how their Silver is holding up to the Fiat Dollars they forked over for those ounces. I'm betting they are still in the very deep red, at least for the Silver they bought back then and please get off your never ending kick about Silver is going up up up coming soon to all of us. Maybe one day and maybe not, we all hope it will rise much higher, only time will tell and time hasn't been on a lot of peoples side for a number of years. You have your head up some ones rear end instead of on top of your shoulders where you could possibly think through this process with a clear head. In the first place that ratio doesn't mean anything to probably 99% of all Silver stackers as they will never trade Silver for Gold. The only thing that matters to all these Silver stackers is how much do I have to pay for Silver today versus how much might I be able to buy or sell it for next month. 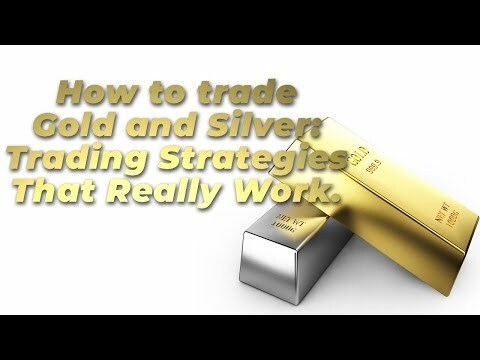 It doesn't matter what the ratio is unless your into short term trading the Gold to Silver ratio. For example the ratio is at 81.5 today and Silver cost $16.50 right now. Is it smart to buy Silver at $16.50 spot today versus Silver at $14.50 this summer for example no matter what the Gold to Silver ratio is for any stacker of Silver??? you need to go back to school and take some additional basic math classes and have your tutoring license revoked buy the state of Missouri. Anyone that is willing to buy $16.50 Silver versus $14.50 Silver has bitten the SilverSeller bait, hook line and sinker. for a number of years should finally know better by now or if that was written by another SilverSeller it would be better buy now!!! this bet by going short because they are always wrong. So it's in our advantage to bet against them right now and buy all the Silver we can. The very fact that the Large speculators have gone Short in such a big way should be very concerning to all of us, just in case they happen to be right and the Silver market is heading south, deep south. Does anyone believe there will be a single article advising us to stop buying Silver when they are long again as they are always on the wrong side of these bets??? Has anyone ever seen more than a few article telling people not to buy now as it's going south from here versus one article after another on a daily basis telling us it's time to buy before it's to late for a never ending supply of reasons. Last edited by valerb; 9th April 2018 at 07:19.
a scenario well described in the video linked here. Today Jack and Jill each have $1375 to spend. The silver to gold ratio (SGR) is about 81. Jack buys 1 ounce of generic gold. Jill buys 81 ounces of generic silver. In my honest opinion the SGR should drop to 50 no problem. There some will trade, but Jill would hold and hope for a better exit point. If the SGR hits 30, then Jill trades 30 ounces of silver for one gold. If the SGR hits 20, then Jill trades 20 ounces of silver for one gold. If the SGR hits 15, then Jill trades 15 ounces of silver for one gold. If the SGR hits 10, then Jill trades 10 ounces of silver for one gold. If the SGR hits 5, then Jill trades 5 ounces of her silver for one gold. If the SGR never reaches the target, then Jill simply keeps her silver. Both silver and gold are expected to rise in value. but in this scenario she followed a more conservative plan. and hopefully end the cycle with 7 gold ounces and one of silver. Your probably right in your fantasy world where Silver is valued at $3,100 an ounce..
Don't you think you would be better off trying to honestly come up with real world ways to convince people that Silver is going to be worth more than $20 first, then you can shoot for $30 and so on. But then everyone is always trying to convince us Silver is going to be worth several dollars more in the very near future and sometimes they are right only to see it come crashing right back down in this rut we have been stuck in for the past few years. Because unless Gold becomes much more worthless, Silver has a real challenge ahead of it trying to overtake Gold in that Gold to Silver ratio. All these things you post are in your honest opinion, but for Silver to reach a 50 to 1 ratio, Gold would have to stay frozen, not likely and then Silver would only have to climb up to a mere $26.92 for a 61% increase while Gold did nothing. Is it possible, yes, likely, no. Can Silver reach a 50 - 1 ratio, yes, but it's not a no problem scenario as you would like to make it sound. There is also the reality that Silver may never reach those kinds of levels again ever, for multiple reasons, but monetizing Gold would be a real killer to any GSR and any true Gold value in the future. Why not just stick to stacking Silver for stacking Silver sake and there is always the potential of being able to swap Silver for Gold sometime down the road if the stars become aliened right in the future again versus it's a sure thing. Nothing is a sure thing including the future value of Silver as a precious metal as it is today. Everything has it's ups and downs as they fall into and out of favor or other things become more useful and replace them. Just remember, Tulips were not the only commodity that had true value over the centuries, things like salt and sugar were very expensive to afford for most of mankind until is wasn't. The SGR moved under 80 today, will it stay? That is not true. Not even close. That is not true. Silver is unique and can not equally replaced. In the future silver it will be valued more than it is now. and when overproduced can easily decrease in value. and are becoming harder to obtain. and they'll trickle the price back down to feed some shorts. 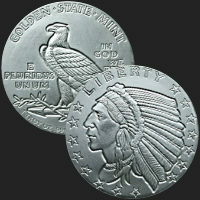 to complete the 5 sets of 8.85 ozt incuse indian rounds. so I'll be waiting for the next dip back into the $16 range. Also there's the matter of obtaining that 171 ozt of generic trading stash before the real blast-off this fall. At yesterday's spot it was going to take me 5 months minimum to accumulate the 5.3 kilos, today even longer. I want silver to stay ridiculously low for us until late summer early fall. I've modified my SGR ratio playbook/plan. and make the first trade of 80 silver ounces for 2 gold when the SGR is @ 40.
and there would still be a savings of 81 extra silver ounces to be used to complete Jill's plans. Take your time building that stash up to 161, 171 or even 181 ounces. It's going to be a long time before you will need it for trading a GSR of 40 to 1. You can also revise your trading strategy over and over again in the coming years while your waiting, assuming you don't die first. But it's nice to have a hobby in your old age, even if it's only make believe. A small stack will be better than none. At almost $3000, believe me, it is going to take plenty of time to accumulate a 161 ounce starting stack. So long that, in fact I sincerely doubt that I'll be able to complete even a third of it, before the silver price lift-off. and from here on out, the only premium coins for me will be will be a few 2018 Pandas and BU ASEs. henceforth I doubt that I will be able to rely on outdoor gardening to produce like it has in the past.